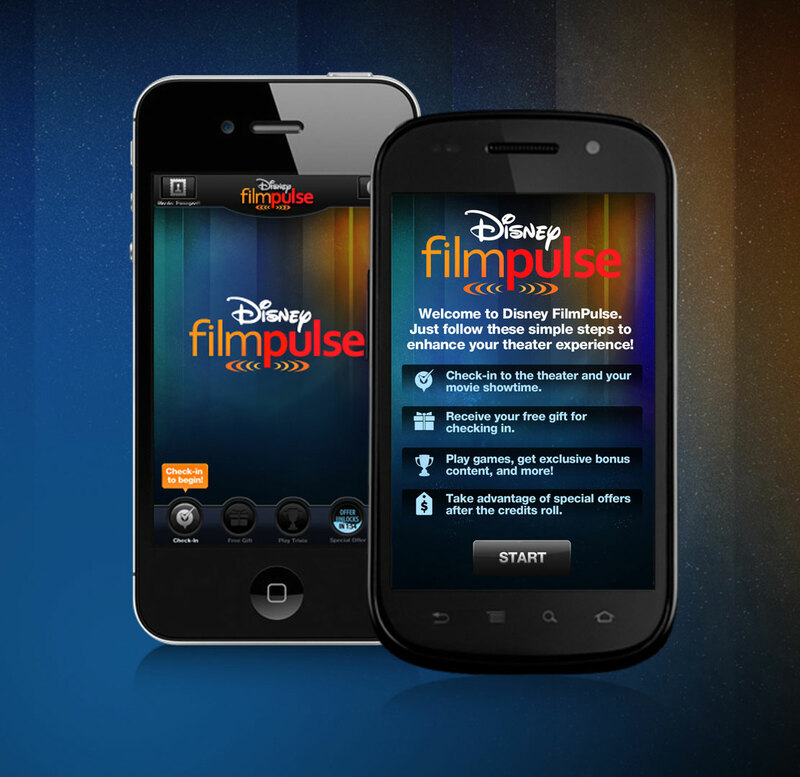 Ant Farm partnered with Disney to design “Disney FilmPulse,” an incentivizing mobile application that enhances and customizes the consumers’ theater experience. 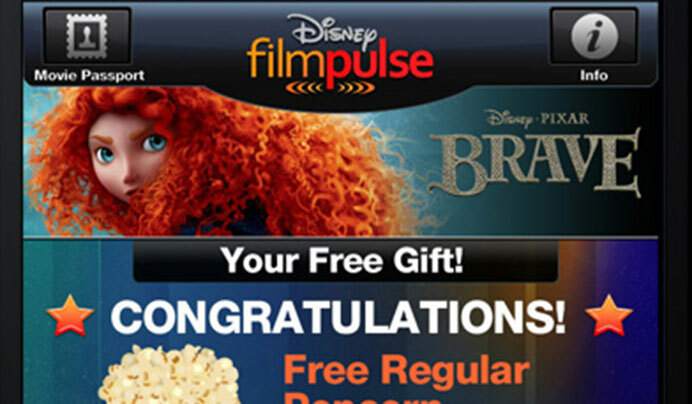 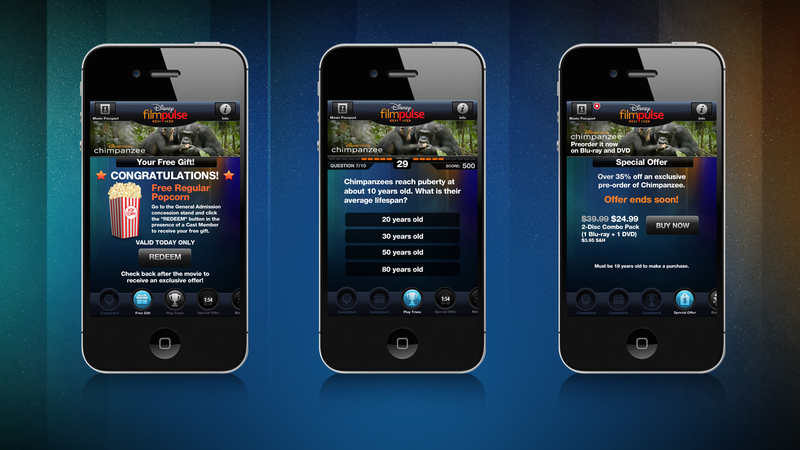 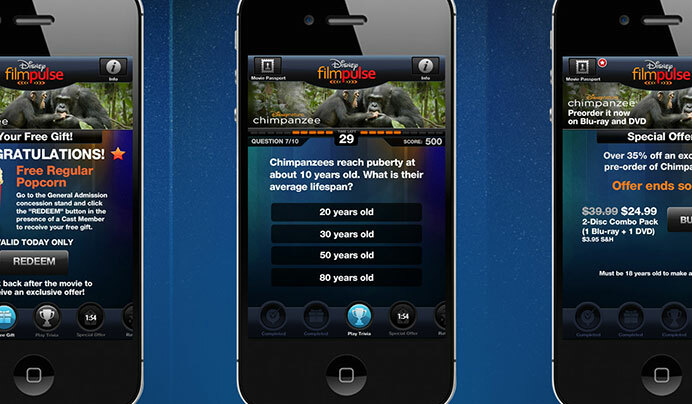 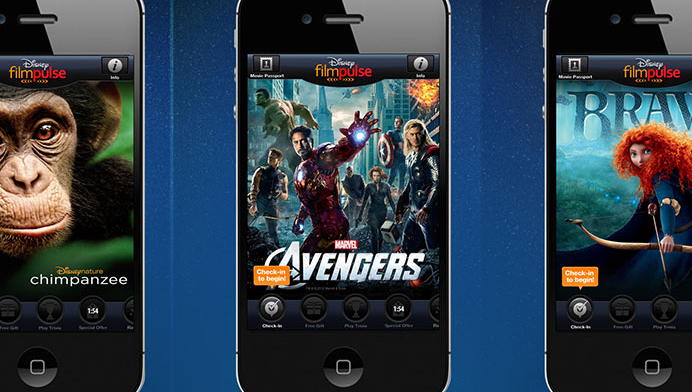 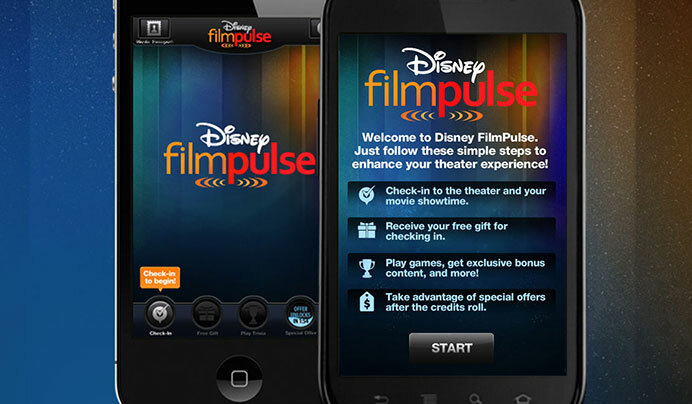 “Disney FilmPulse” is a content-rich mobile check-in app that engages fans while they are at the theater. 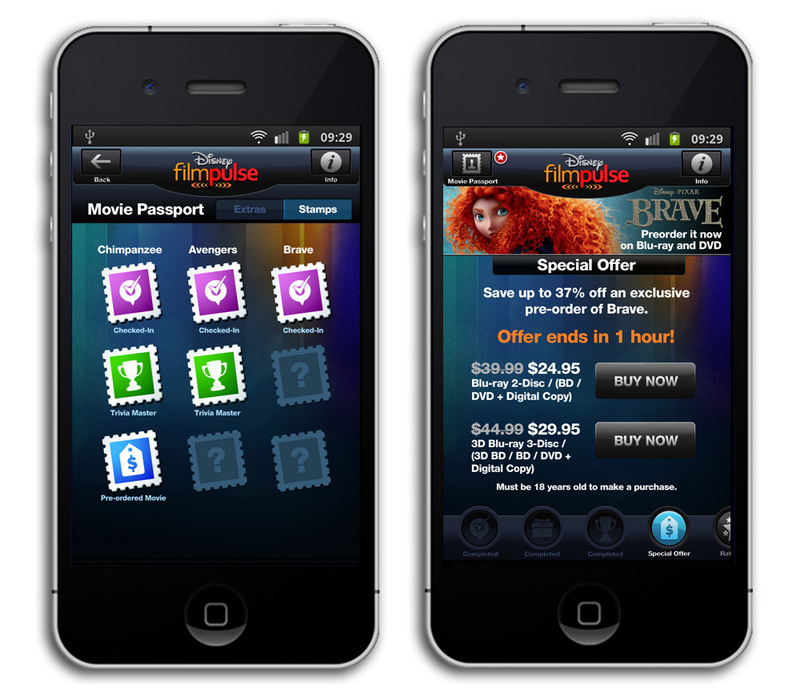 The app incentivizes DVD purchase and capitalizes on the “Hot State” when consumers are significantly more likely to purchase a product. 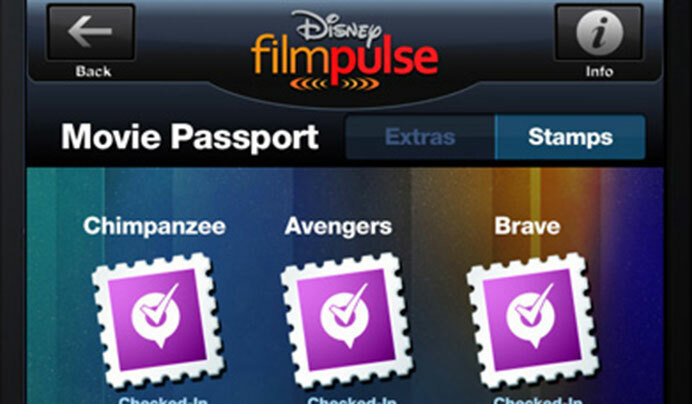 A rewards program is included to encourage check-ins across multiple Disney films. 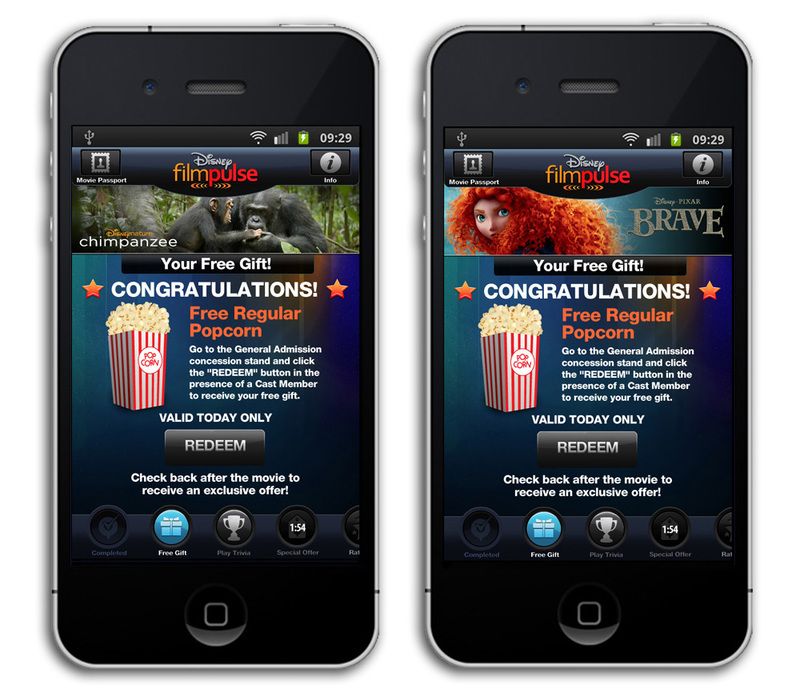 The app was built to be reskined for future movie titles and includes free gifts, trivia games, special bonus content, discounted DVD offers, and more. 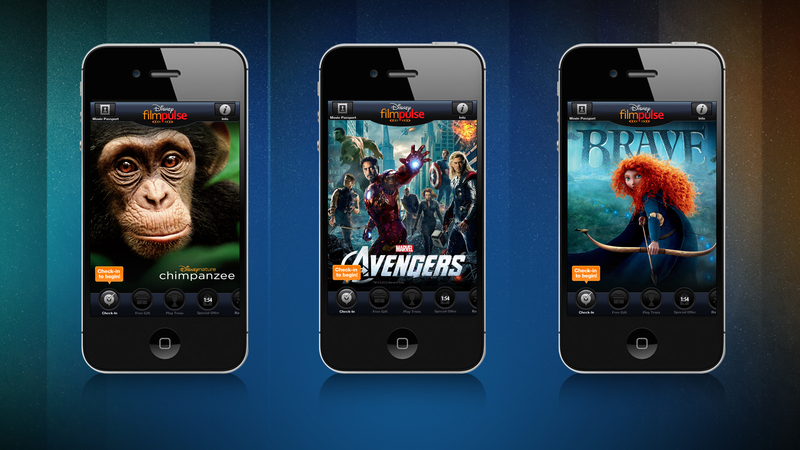 We designed and built an app that offers the ultimate Disney theater experience while encouraging purchases.